Lazy days on the Noyo River? Well not really but it kind of feels like it - kayaking, bird watching, soaking up the sun. Pinch me . . . it this a dream? Birds, birds, and more birds . . . I think that spring/early summer is one of the most exciting times for birders. We are enjoying the wilson's warblers buzzing about, the musical songs of the black headed grosbeaks, glimpses of the downy woodpeckers, diving osprey, fuzzy mallard ducklings, and colorful violet green swallows. The Canada geese have been rather entertaining lately. 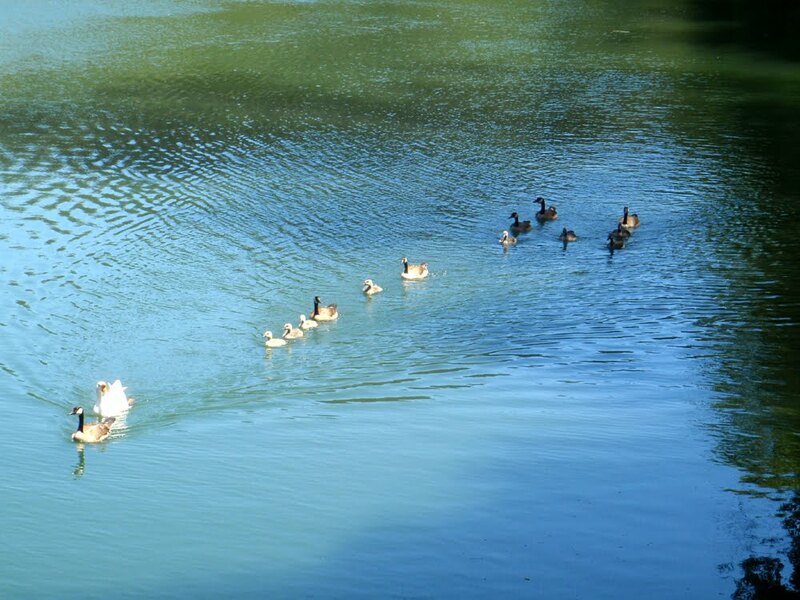 The goslings are growing fast and they seem to have adopted a new member to their flock. I have heard of the odd duck but how about the odd goose? I have started building my skin on frame kayak which is modeled after Brian Schultz's Cape Falcon F-1. 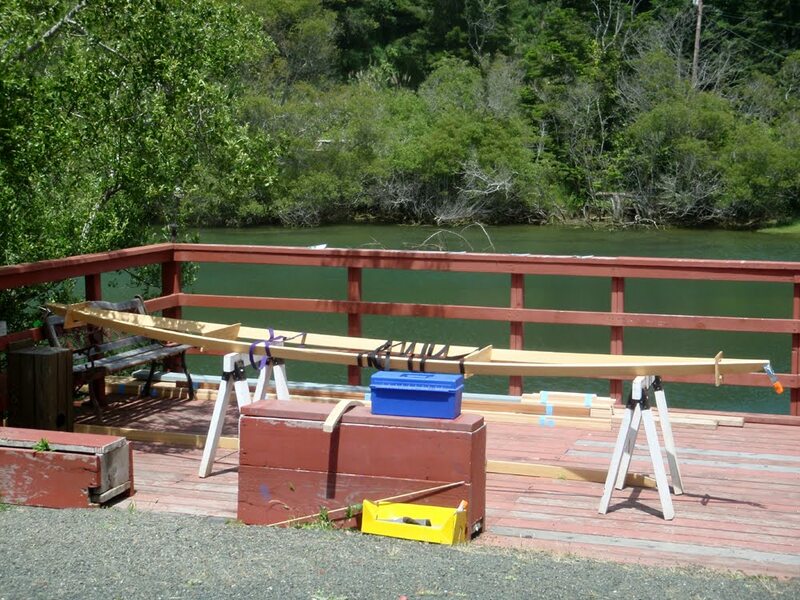 It is magical to be able to work on it on our deck just above the Noyo River where I will launch it (hopefully by the end of the month). Ahhhh . . . life is good.